Learning to read treble clef notes is much easier than it seems. All you need to do is get an understanding of how it works, and then learn effective ways to practice, and you will start to succeed. Simple as that. 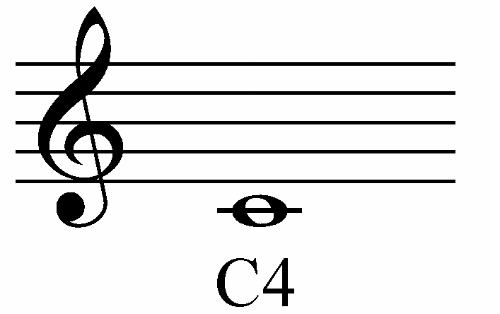 As we learned in the lesson on the g clef, the treble clef is the most widely used clef in music. If you don’t read music yet, it’s the perfect place to start. 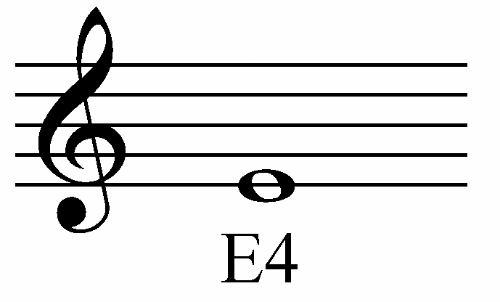 Even if you do read notes in other clefs, learning to read treble clef notes is still an extremely valuable skill that will increase your musical abilities and opportunities. Every line or space on the staff represents a specific note. To begin learning to read music, we need to relate each note on the staff with its corresponding note on the piano keyboard. A note written on the staff and a note on the piano are two sides of the same coin. They are the exact same thing, just expressed in two different ways. The reason we’re focusing on piano is for its use as an all-purpose musical tool. 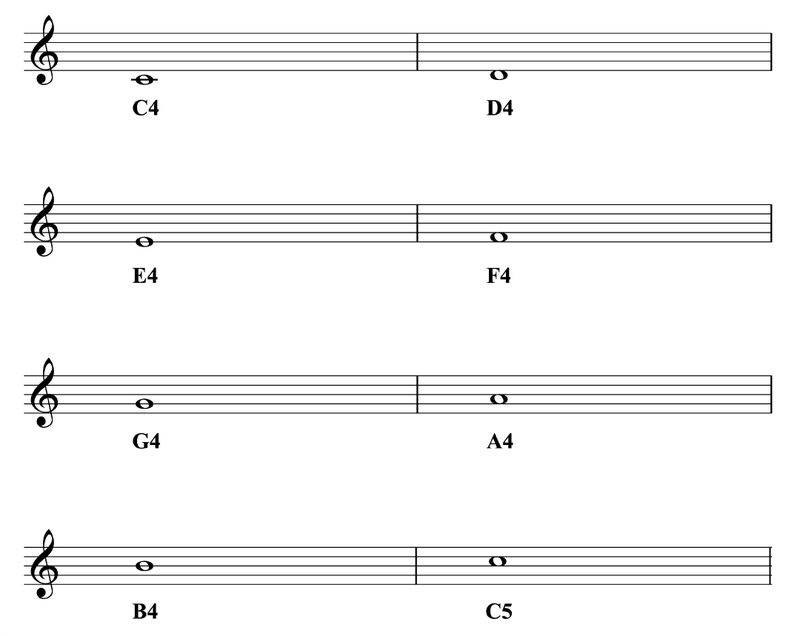 Its wide range covers all possible notes, and its unique keyboard layout allows us to visualize notes and patterns in a way that’s not possible on other instruments. Even if you play a different instrument, it’s worth learning to relate written notes to the piano. One of the problems people face when trying to improve their musical ability is that they want to learn everything at once. Then they get overwhelmed, and don’t get anywhere at all (and sometimes even give up). The truth is, one of the best secrets to learning music is just the opposite – break it down into smaller pieces! This approach makes it so much easier to learn and remember, and ultimately to succeed. So instead of trying to learn all of the treble clef notes at once, what we need to do is focus on one octave register at a time. 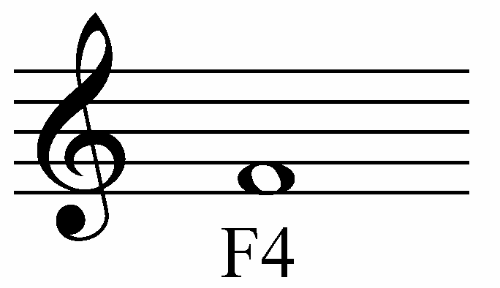 All together, we’re going to divide all the treble clef notes into 4 areas, and focus on each of them one by one. 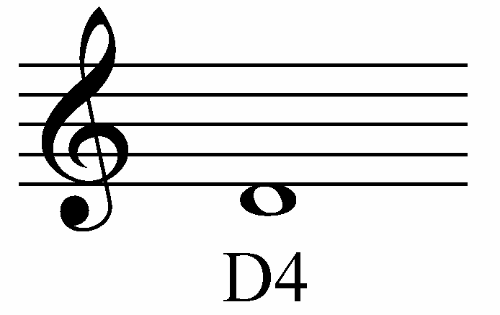 Middle C is our main reference point, or landmark (just like on piano). 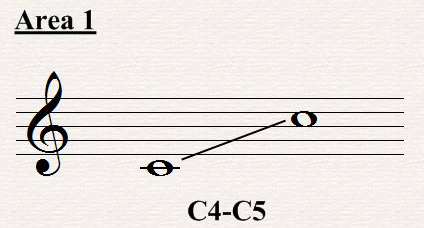 As long as we remember where middle C is, we can find the other notes easily. If you have access to a piano or 88 key keyboard (or even an ipad app that has an 88 key piano), sit down for a few minutes and learn where C4 is on the piano. Make sure you don’t get confused between C4 and C3/C5. This mental picture will make reading notes much easier! Practice until you’re able to sit down at a piano and locate middle C almost immediately. The two areas we’ve covered so far take up the main part of the staff (and extend a bit upward and downward into the ledger lines. All we have left to learn are the rest of the ledger lines. You don’t have to memorize every single note right away. 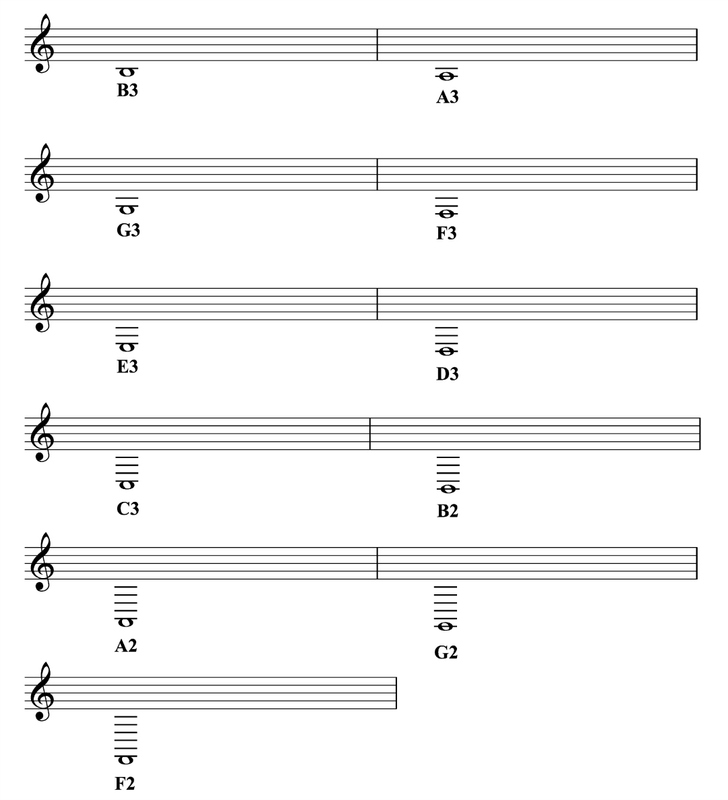 Once you recognize even just 1 or 2 of them, it’s easy to find the other notes just by counting up or down. As you get better, you’ll start to recognize more and more of the notes right away. A lot depends on the practice techniques you use. If you learn the right practice techniques, you will find yourself getting better day by day, week by week. At that point, it’s up to you… if you keep it up, you can master it. We will learn successful and efficient practice techniques in a later lesson dedicated to the subject. Visualize the piano. 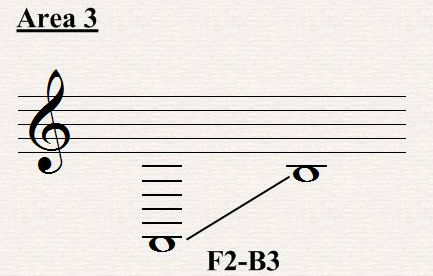 Every time you look at a note on a staff, try to picture in your head the exact note it represents on the piano, in the correct octave register. F4 means F4, not F3, not F5. 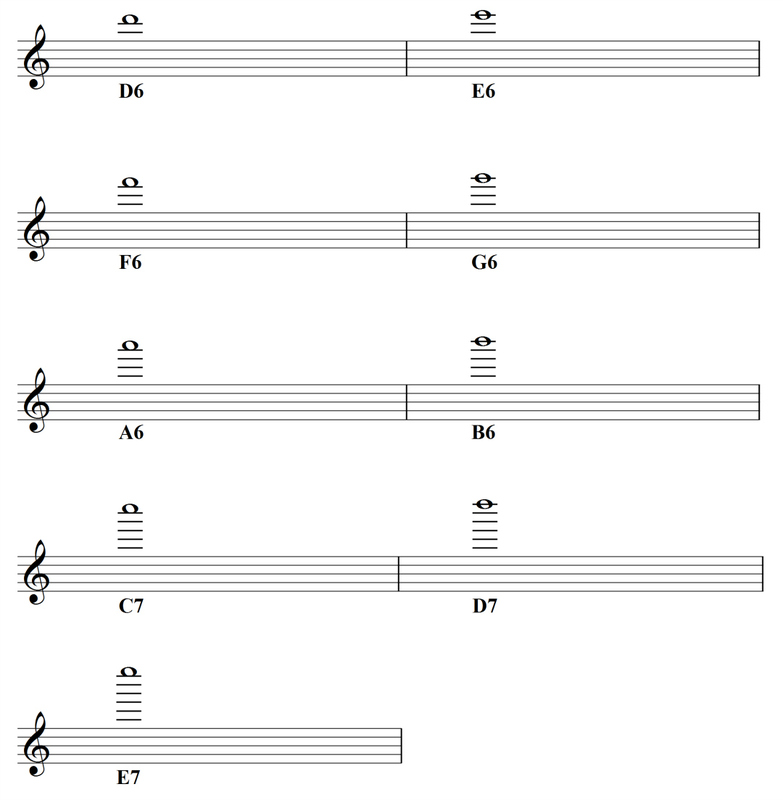 Not only will thinking this way give us a visual image for each note, but it also gives us a specific sound to associate with every note (since every note has a certain pitch that’s unique to it). The way to learn to read notes is by getting a little better every single day. Do not expect to immediately know every single note – it takes some time, and practice. The main thing is to keep at it! Every time you look at music notes, you’ll get a little better, a little faster. It’s not about getting it perfect – it’s about not giving up, and setting aside a little time every day to work on it. If you can do those two things, there is no doubt you will succeed. A mnemonic is a memory device. Mnemonics can be helpful during the beginning stages, to remind your brain which line/space corresponds to which note. 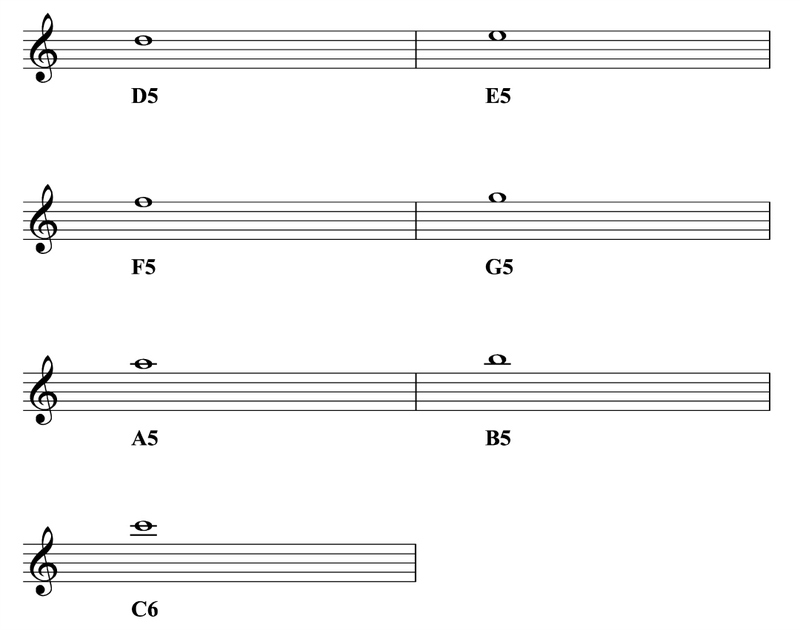 They don’t tell you the octave register number of the notes, so we have no idea where we are in relation to a piano. They don’t deal with any notes in the ledger lines, or in the spaces above and below the staff (which make up more than half of the notes). They could become a crutch to rely upon, instead of actually memorizing the notes. To avoid them becoming a crutch, only use mnemonics at the very beginning to help jog your memory. Think of them sort of like training wheels; they can be great at first, but you don’t want to be using them anymore when you’re 40. Copyright © 2013 - 2019 Allaboutmusictheory.com All Rights Reserved.